ATTICA, Ohio – Everyone knows that feeling of just missing out on a 50/50 ticket or winning a prize. It’s no different in the world of sprint car racing. There will always be that driver that just misses the A-main by one spot. That driver will benefit from an extra $500 thanks to Alan Holland of www.hoseheads.com during the 30th Annual Ohio Logistics Brad Doty Classic Presented by Racing Optics on Tuesday, July 10 at Attica Raceway Park in Attica, Ohio. The additional funds will go to the driver that “just missed it,” most likely the first non-qualifier or fifth place finisher in the Weld Racing Last Chance Showdown. The cash will go to the first car that did not qualify for the A-main who can’t use a World of Outlaws Craftsman Sprint Car Series provisional. “While it won’t make up for the disappointment of missing the A-main, the extra $500 from Hoseheads.com will help soften the blow a little,” said Brad Doty, Co-Promoter of the race. Also, long time race fans Jim Valentine and his daughter Nicole will offer up $500 to the fast qualifier. “Jim and Nicole were fans I’ve become good friends with over the years. They’ve contributed fast time money a few times in the past, but this being the 30th anniversary, they wanted to increase it even more. I’m always thankful for their involvement and it’s going to be a nice bonus for someone,” Doty said. 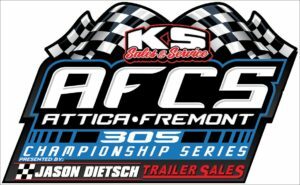 The 30th Annual Ohio Logistics Brad Doty Classic Presented by Racing Optics hits the track at Attica Raceway Park on Tuesday, July 10 (rain date of Wednesday, July 11) featuring the best sprint car drivers in the world. The 2017 Brad Doty Classic had 58 drivers compete for the $10,000 top prize, the largest single day car count of the season for the World of Outlaws Craftsman Sprint Car Series. This year will mark the 14th consecutive season the World of Outlaws Craftsman Sprint Car Series have sanctioned the Ohio Logistics Brad Doty Classic Presented by Racing Optics. There have been 22 different winners in the 27 contested Brad Doty Classic features (2 have been rained out). Reserved seats for the Ohio Logistics Brad Doty Classic presented by Racing Optics are on sale at every event at Attica Raceway Park leading up to the event and are $35. 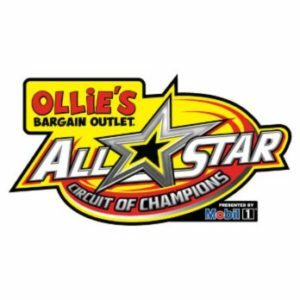 You can also purchase advanced seating by going to www.atticaracewaypark.com and click on the Brad Doty Classic link at the top of the main page or at the World of Outlaws site at www.woosprint.com/schedule/2018 and click on “buy tickets” to the right of the Brad Doty Classic date (July 10).